Vern Burkhardt (VB): The last time we talked, which was almost 2 years ago, you said you were on a mission to spread the Pixar approach to businesses around the world. Are you still on this mission? Bill Capodagli: We are. The Pixar approach and the Disney approach as well. VB: Do you think most companies are truly committed to being customer-centric? Bill Capodagli: I ask leaders all the time if they're committed to producing an exceptional customer experience or product and, of course, they say, "Yes." These include leaders of mom and pop organizations to Fortune 500 companies. But then I ask if they measure their customer service and if it's part of their strategic initiative. Are they actually looking at it? Usually their eyes glaze over. They get blank looks on their faces or say they delegate that down to the front line. If it's not being managed and measured and if it's not monitored at the top levels, it's usually not going to get done at the bottom levels. I define commitment as being bound intellectually and emotionally to a course of action. It's pretty easy or comfortable to be bound intellectually to being customer-centric. When it comes to being innovative and creative, the problem is that most executives are only bound intellectually to a course of action. And what this means is that they often lack the passion to create a culture that is truly customer-centric. History repeats itself in these companies. The leaders who lack this emotional component tend to hire individuals who have the same problem. Most companies want people who've had a 4.0 Grade Point Average since pre-school, who haven't taken a semester off to travel abroad, and have never taken a day off work. Don't get me wrong. I'm not suggesting super bright people are boring, myopic, or can't come up with good ideas. Alvy Ray Smith and Ed Catmull, the co-founders of Pixar, both have doctorates in computer science. They're really bright and certainly this has contributed to the success of Pixar, but even more so, it's about their passion, independent spirit, and persistence to made it happen. VB: Does it surprise you that leaders think they can delegate becoming truly customer-centric down to the front line? VB: But it's the essence of the business. Bill Capodagli: It is. The reason you're in business is to serve your customers! It must be your passion, your lust. You must live it, feel it, and internalize a customer -centric perspective. It's what you're all about. You're not just going through the motions of providing a service. 'Passion' needs to become more and more prevalent in our organizations today. People tend to rely too heavily on policies, procedures, and rules. You're not going to get good customer service from a policy manual. VB: Rules based behavior is not very motivating. Bill Capodagli: No it isn't. VB: How do you go about generating a passion for excellence? Bill Capodagli: The Disney organization has maintained such a culture for nearly 90 years in their studios, and over 40 years in their parks. It all boils down to values and beliefs. From their very first day on the job, cast members learn the importance of Disney's vision of providing the finest in family entertainment. Disney's values in priority order are: safety, courtesy, the show (quality of their product or service) and efficiency. They instill in their cast members that they treat customers as they would guests in their own homes. This customer focus is an integral part of their DNA. Cast members know they must never refer to them as customers… they are the guests. The cast members really get this. As I said, Disney insists that cast members treat their customers like guests, so there is always a positive, expectation-exceeding experience. So a visitor to any of the theme parks will find that a question is answered as pleasantly today as it would have been in Disneyland back in the 1950s and 60s. It's a way of life and it's contagious. Cast members are never too busy to stop and chat with guests. Have you ever been to Walt Disney World in the summer when it is crowded with wall-to-wall people? Bill Capodagli: It's so hot you have to keep moving or the soles of your shoes will melt onto the pavement. Yet the cast members appear cool, calm, and collected. They realize their job is to make their show – the guest experience – special to everyone. The number of cast members at Disney has tripled since 1984, which is amazing. They are the largest single-site employer in the country, and they still succeed in making everyone feel welcome and happy. VB: Would you talk about a "good show" standard? Bill Capodagli: Disney uses "good show" and "bad show." Everybody knows what a good show is. Disney – and we've helped other clients do this – has put together codes of conduct. Codes of conduct may be 10 or 12 things that are crucial to delivering an exceptional guest experience. They include things like ensure every guest's question is answered. VB: They own the problem. Bill Capodagli: Exactly, they own the problem. There are other aspects to their codes of conduct that are similar in nature. Everyone knows what a "good show" means. They also review their performances. After a show, they will ask questions such as, "Was it a good show? What aspects made it a bad show? Did we perform up to our codes of conduct and, if not, how can we improve next time?" The purpose is not to pin blame on someone, but rather to do better next time. VB: When we last talked we discussed your book, Innovate the Pixar Way, where you wrote about the importance of "play" and "fun" at work. Pixar doesn't necessarily come to mind when one thinks about the term customer-centric. Yet, they have a huge customer following – moviegoers. How do they keep their passion alive, producing blockbuster hits year after year? Bill Capodagli: They sure have been successful, haven't they? Twelve hits in a row. $7 billion gross income, and I think it cost a little over $1.5 billion to make them. One of the keys to their success is "the story is king." Everything revolves around the story designed to ignite the passion and creative energies of the Pixar team and make magical moments for their customers. They craft the customer experience by way of unique, memorable, and magical moments that will keep customers coming back for more. This same way of thinking applies whether you're making an animated feature film that takes 4 years to finish, or serving a hamburger which takes 4 minutes. It's also true if you are designing a new refrigerator, starting up a new restaurant, or reengineering your accounts receivable process. You only have one chance to make it right. VB: For business people having an emotional connection is an interesting topic. How do you know when you've got an emotional connection with your customer? Have you ever flown Southwest Airlines? What a great example. They're a no-frills airline. You don't fly with them because of first class – there's only one class. Being in the Midwest, I don't fly with them often, but whenever I do I like it. They make me feel good. They make their investors feel good, too, with 39 years of profitability! VB: And in a highly unprofitable industry. Bill Capodagli: Yes, and they've weathered the storm of the horrific acts of 9/11, and the financial meltdown of 2008 without laying off one employee. VB: It is much more than having a sense of humor? Bill Capodagli: It is. It is about trusting your employees to use their common sense when doing their jobs. It's about letting them know what's expected of them, giving them the tools to succeed, and then not micro-managing them. When they know they're trusted, they'll rise to levels that will surprise even themselves. Companies must be passionate about building a culture of mutual respect and trust. If you aren't committed to your employees, then building a customer-centric culture isn't achievable and it certainly isn't sustainable. VB: What are some of the things companies can learn from Pixar's culture? Bill Capodagli: One of the things I find interesting is Pixar does not believe in ex-Chairman and CEO of General Electric, Jack Welsh's teaching regarding ranking employees from the most important down to the least important, and continually trying to weed out those deemed least important. Instead they try to link employees by complementary skills, not by level of importance. They feel the synergy you get from linking employees together is really great. Ed Catmull, Pixar's co-founder, said, "When technology and art come together magical things happen." He said that Walt Disney understood this and it's one of the reasons he was so successful. Innovative leaders make work fun. Disney and Pixar Animation Studios chief creative officer, John Lasseter, has said they work hard and have a lot of fun, and creativity overflows. When you take yourself too seriously life and work cease to be fun. Another thing they do is encourage collaboration, not only within teams, but also throughout the organization. The late Steve Jobs designed their facility at Emeryville to encourage collaboration. For example, the washrooms and lunchrooms are in a central area. It is not about a few great ideas. It's about the thousands of little ideas that come from everyone on the team that goes into the final product. It's all about great teams. Ed Catmull's belief in teams is evident in his words: "If you give a good idea to a mediocre team, they may screw it up. But if you give a mediocre idea to a great team, they'll make it work." VB: All employees have direct access to leaders? Bill Capodagli: They do. They have direct access to anyone in the organization. They also embrace failure. When I give my keynotes a lot of top managers cringe when I say, "You need to embrace failure." I think it was John Lasseter who said every one of their animated feature films is, at some time during production, a failure. They encourage people to try, learn, and try again. They see it as a way of learning. VB: How do you respond to those who say its fine to talk about embracing failure providing you can afford it financially? Bill Capodagli: With Pixar, the failures they embrace are not at the box office. Failure is embraced in the process of trying to come up with the best possible solution. They don't embrace failure by saying, "We'll release this film and see what we can learn from the public's reaction to this piece of garbage." During production they try things and have internal reviews to see how they work. If a story line isn't working, they work that much harder until the final product meets their high standards. VB: In this context embracing failure encourages creativity. Bill Capodagli: Yes, it encourages creativity and ultimate success. If and when they do have a failure in the finished product, they learn from this too. Disney's original 'Tron' back in the early 80's was a box office failure, but the technologies they developed while producing it have been used successfully for many subsequent films. Tron was one of the first movies to make use of computer animation, and is celebrated as a milestone in the industry even though only fifteen to twenty minutes of such animation was actually used. VB: What else contributes to Pixar's success? Bill Capodagli: They embrace diversity, not only in race and gender, but also in the way people think. So many times when I visit companies, I see teams made up of like thinkers. The manager hires people who think like he or she does. Consciously or subconsciously, the manager's assessment of a prospective employee is 'since you like the same things I do, you must be good'. We encourage people to hire opposites, people who are different from the rest. There are always people in an organization who'll say, "Oh yeah, Charlie here has some wacky ideas. We just take them with a grain of salt." You have to have this kind of Charlie on your team. He looks at things differently and he's going to challenge you. He may seem wacky and off the wall, but he will be good for your company. VB: In Innovate the Pixar Way, you write about "child-like fun." How does that fit in? Bill Capodagli: Organizations tend to think you have to suffer to be successful. I love what George Zimmer, the CEO of Men's Wearhouse, told me. His organization is fun; it's an extension of his fraternity days. One of his fraternity brothers was one of the authors of 'Animal House'. George told me their fraternity was a lot like 'Animal House'. George says the more fun teams have the more successful they tend to be. VB: It's difficult to imagine how a customer-centric culture could exist without a leader who inspires a passion for excellence within their workforce. How would you describe Pixar's leadership model? Bill Capodagli: It started with Walt Disney. Walt Disney was a dreamer and a visionary. Pixar's founders admired his creative genius and they emulated him. Disney was also a communicator. He could articulate his vision and dreams to all stakeholders. He listened to customers' wants, needs, problems, and dreams. He knew he had to have good people around him who embraced his dream. Walt Disney defined leadership as the ability to establish and manage a creative climate where people and teams are self-motivated to successfully achieve long-term goals in an environment of mutual respect and trust. I find this definition of leadership to be the most profound I've encountered in over 30 years of studying, teaching, and evaluating leaders and their leadership abilities. VB: Do you think if Walt Disney were alive today he would be surprised that business leaders haven't more universally adopted his approach? Bill Capodagli: Yes, he might be. Its surprising to me too that more haven't. He was such a great role model. We've written several books about this type of leadership, and they've been quite popular. You would think more people would be embracing Walt's principles. VB: I gather that when you talk about this leadership style, it rings true with people? Bill Capodagli: Oh yes. They tend to understand, but I also tell them they can't just copy a culture that works for Disney, Pixar, Four Seasons Hotels, or whomever. They have to define a culture that's right for their organization and then work at making it happen. There's no instant pudding. It's hard work. VB: Would you explain some of the key points of Walt Disney's leadership model? Bill Capodagli: First, he said, "establish." What he meant is you need to communicate your vision, story, and dream. You need to establish a climate in your organization that creates "magical moments" for your guests. Great leaders dream of building something unique that will differentiate their organizations from their competition and, most of all, they believe that their employees hold the key to their organizations' ultimate success. And then "manage a creative climate." Managing, for Walt Disney, did not merely mean getting work done through people. Instead he thought of managing as developing people's skills through their work, and encouraging fun in a creative climate. It is about creating a culture of learning in an organization filled with lifelong learners. Walt loved re-inventing the old, such as when he changed the amusement park business into the Disney theme parks, and creating the new as he did with animated feature films. And then "individuals and teams." Everyone knew their individual roles, and how important it was to complement one another, as well as how important it was to be part of a team. "Self-motivated." This is one I find interesting. Most companies try to hire the best, brightest, and most talented people and then micro-manage their every working minute. Why on earth would you want to micro-manage your employees if you have spent time hiring the right people, given them a thorough, multi-day orientation process during which they learn to embrace your values, vision and culture, and provided them with the tools to succeed? Cast members – your employees – must believe that management has entrusted them with one of the most important elements of any business – the guest experience. An empowered workforce is a self-motivated workforce. VB: What you end up doing is limiting their creativity, motivation, initiative, and, ultimately, their overall contribution. Bill Capodagli: Exactly. Great leaders don't spend for today at the expense of tomorrow. They invest in the future. Walt Disney was a long-term thinker. I don't think short term was in his vocabulary. When he made something he made it to last. Can you think of any film that's been watched more than 'Snow White and the Seven Dwarfs'? VB: No, I can't. Interesting. Bill Capodagli: It's over 70 years old and still magical to a 5 or 6 year old seeing it for the first time. VB: It's still magical for parents when they watch it with their 5 or 6 year olds. Bill Capodagli: It is. For grandparents as well. VB: Are there other key points in Walt Disney's leadership model? Bill Capodagli: Yes, thinking is for the "long-term." In the typical organization, long-term thinking relates to a strategic objective for adding products, services and perhaps new locations. The best of the best define "long-term" thinking in terms of values and beliefs upon which their growth is based. They go to great lengths to ensure that their cultures can support new ventures and still remain true to their credos. The last part, ”mutual respect and trust,” is probably the most important part of Walt Disney's definition of leadership. Without the mutual respect for, and trust of, your clients, customers, staff, management, and yourself, you're never going to have an innovative, customer-centric culture. Without this you're not going to have a truly successful organization. VB: This message needs to get through to the boards of directors of large corporations when they're hiring CEO's. Bill Capodagli: It sure does. VB: Do you have a sense that some boards are looking for this approach when selecting CEO's? Bill Capodagli: Not enough are doing this. A few look toward the long-term, and for someone capable and willing to cultivate mutual respect and trust, but not enough. VB: How does the physical environment influence the development and nurturing of creativity? Bill Capodagli: When you let people be creative within their physical environments, rather than putting them in sterile cubicles, the results can be powerful. Our physical surroundings play a vital role in our well-being, happiness and creativity. Too many companies still separate people by category, level, function, or department. This kind of regimented structure inhibits people's creativity, collaboration with others, and ability to deliver great service. Companies like Pixar, Cisco, and Skype are great examples of work environments cleverly designed to best enable new value creation through collaboration. They align the physical environment with the strategic. You may remember that Pixar has a sixteen-acre campus in Emeryville California, which is nicknamed "the Habitat." They have a lap pool, a volleyball court, lots of room for play and escaping from daily work. It's something that most businesses fail to plan for, and indeed think is unnecessary. I tell business leaders that it's not about spending a lot of money to build a fancy playground, but rather it's about whatever drives the creative spirit. Pixar bought huts, like little garden sheds, and let people decorate them however they wanted. Some are fitted out like south sea island huts. One has a barbershop motif. It looks like the munchkins' village in 'The Wizard of Oz' with all the little decorated huts around. Steve Jobs was a little bit taken aback by these huts, because he designed their beautiful building. He was an engineer and liked sleek design. Pixar gave their creative types total freedom to decorate as they pleased. Steve soon realized it was a way to increase employee self-awareness and creativity. VB: If you can control your own environment and make it stimulating, it will help you be a better employee. Bill Capodagli: Yes, it will. VB: Many companies now have online workers who rely heavily on technology to communicate with their coworkers. How is this trend likely to affect morale? Bill Capodagli: It affects morale a bit because it's tougher although not impossible to collaborate over the Internet, over Skype, or through social media than it is when sitting around a conference table or in somebody's office bouncing ideas off one another. I haven't seen the technology that will totally replace in person collaboration, but with more and more technology like Skype, it will become increasingly possible. Here we are, two years ago we were talking through a landline telephone and now we're talking face-to-face over the Internet. It's getting better, but still can't replace the interaction and creativity that occurs when human bodies get together. VB: It certainly makes it easy for people from different countries to work together without incurring the expense in money and time of getting together, which many may not be able to afford. Bill Capodagli: Yes, it certainly does. Companies use tools like Google document sharing, instant messaging, and audio and video conferencing to tie their far-flung workforce together. I've read a recent study that predicted that by 2016 about 63 million Americans are expected to telecommute. This represents 43% of all U.S. workers. VB: What is the span of control at Pixar? Bill Capodagli: They don't think in those terms. It's hard to find an organizational chart at Pixar, and 'proper channels' have no bearing when it comes to solving problems. The environment is truly open, and as I stated earlier in our conversation, everyone has the freedom to communicate with anyone else in the organization regardless of level or title. They pull together the right group of people to make a film, and they may work as a team on the film for four years. Something interesting is done at Pixar which isn't done at other studios – the people who work on the films are full-time employees. Most studios pull people in for films on an as-needed basis. VB: I presume if you're a full-time employee you're much more committed to the long-term well being of the company. VB: Perhaps they have a collaboration chart. Bill Capodagli: I don't know. It's a good question. VB: How do leaders empower cast members to deliver "magical" customer service in the Disney organization? Bill Capodagli: First of all, everybody's ideas are deemed to be valuable. One gentleman I've interviewed is Mike Goames. In 1994, he was a greeter at the Innoventions exhibit at Epcot in Walt Disney World, Florida. If you had visited that exhibit in 1994 you wouldn't have thought it was very innovative. It looked more like a history of computers than the latest and greatest in technologies, which it does today. As Michael Eisner, the CEO at the time, walked around the exhibit he had the feeling that it looked tired and out of date so he sought out the greeters. You have to visualize this for a second. Here's the CEO – the company was worth about $20 billion at that time and he was one of the highest, if not the highest, paid CEOs in the country if not the world – asking young men and young women who were earning about $10.50 an hour about their ideas for change. He spoke to one greeter who said, "I don't have any ideas, but that guy" and he pointed to Goames and said, "is always talking about what's wrong with the company. He's got all kinds of ideas for change." Some friend this must have been to sic the CEO on Mike! Eisner approached Goames and discussed ideas with him. Then, he said, "I like what I hear. Can you send your ideas to me?" They implemented many of Goames' ideas, and the lesson is that everyone's ideas are important – even those of a greeter. Secondly, the Disney organization trusts its people to make good decisions. Their employees know what's expected of them and they are trusted. I interviewed the customer service managers who handle client questions and problems. They told me that cast members have $500,000 worth of tickets and cash at their disposal to use as necessary in order to solve problems for guests. I asked, "Is there a limit on the amount cast members can use? Is it $1000 before they have to get approval?" They said, "No. They just have to document their decisions and get signatures so people know we're not giving it to our brother or sister-in-law." VB: They have full authority to solve problems as they see fit? Bill Capodagli: Yes, they are trusted to make the necessary decisions. After all, what "magic" does a manager have for better decision-making beyond $1000 than a front-line employee? VB: Indeed, little magic. Perhaps they have a need to feel in control. Bill Capodagli: Being in control should not be the goal. It should be how to provide a good show. Co-authors Bill Capodagli and Lynn Jackson have focused much attention in their careers on sharing the secrets of the "Disney way." Their message is still relevant in today's competitive environment. Leaders need the passion to create an innovative customer-centric culture. The message may seem simple; execution is not. Give every member of your organization a chance to dream, and tap into the creativity those dreams embody. Stand firm on your beliefs and principles. Treat your customers like guests. Support, empower, and reward employees. Build long-term relationships with key suppliers and partners. Dare to take calculated risks in order to bring innovative ideas to fruition. Train extensively and constantly reinforce the company's culture. Align long-term vision with short-term execution. Use the storyboarding technique to solve planning and communication problems. Pay close attention to detail. Bill Capodagli is cofounder, with Lynn Jackson, of Capodagli Jackson Consulting in West Olive, Michigan. They help companies revamp their customer services and approaches to innovation and production based upon Walt Disney's "Dream, Believe, Dare, and Do" philosophy for business success. 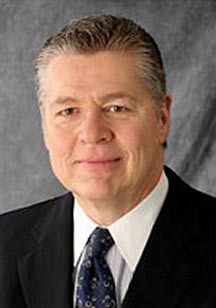 Prior to founding Capodagli Jackson Consulting in 1993, Bill Capodagli held managerial and consulting positions at the firms of AT Kearney, Ernst & Whinney (now Ernst and Young), and Coopers & Lybrand. He is a highly acclaimed international speaker on the cultures of both Disney and Pixar. He brings to his audiences a unique perspective on how Dream, Believe, Dare and Do are being applied in industries from hotel management to health care. We would appreciate receiving feedback about this, or any of our other articles on the IdeaConnection.com website. Please write us with any comments or suggestions. If you would like us to interview you about an article or book you have written, or an interesting idea, or a business you are involved with, please let us know. To read other interviews with authors and people interested in innovation, creativity, and business leadership please go to Interviews with Innovation Authors and Corporate Innovators. To read interviews with corporate innovators please go to Conversations with Corporate Innovators.